I’m looking for literature in English that explains the rank Generaloberst mdR GFM. Why not just promote the person to Generalfeldmarshall? Hello ccj . The rank of Generaloberst mit der rang eines Feldmarschall was conceded in peacetime in place of the wartime rank of Generalfeldmaschall. 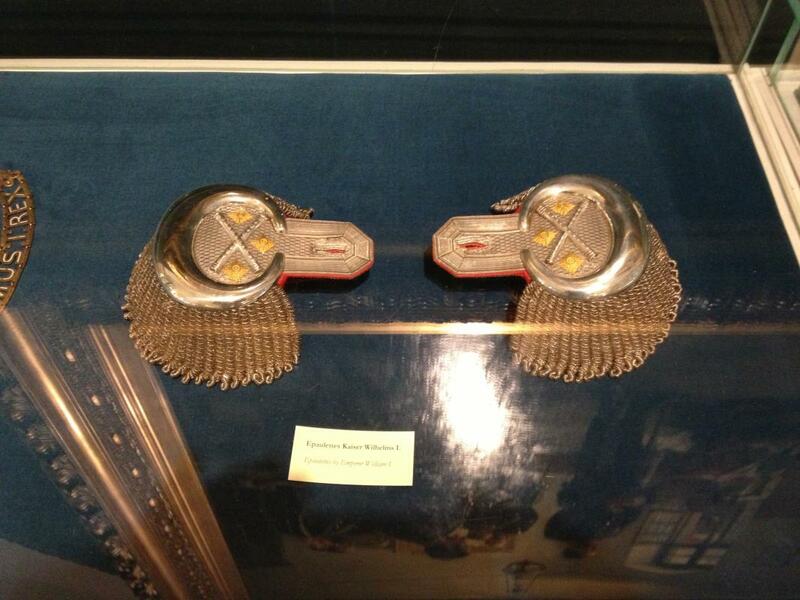 These Army Chiefs weared four pips on epaulettes or Shoulderboards intstead of the three of the Colonel General. Does that mean if war broke out a general holding the first rank automatically gets promoted to Generalfeldmarshall? Or did it happen that that specific officer was just promoted to GFM for the duration of hostilities? I've done quite a bit of reading about the Second World War and noticed that officers got temporary promotions to higher ranks and once the war is over they revert to their pre-war rank. The rank Generaloberst was introduced in 1854. From 1854-1911 he had three pips. A Generaloberst mit dem Rang als Generalfeldmarschall had three pips and crossed fieldmarshall´s batons. Since 1911 a Generaloberst mit dem Rang eines Generaleldmarschalls had four pips. As far as I know, they didn´t wear a fieldmarshall´s baton. 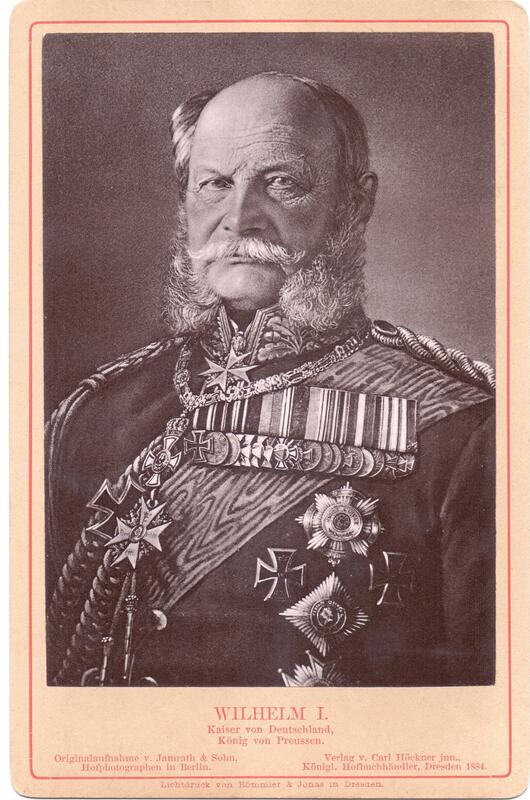 Even Kaiser Wilhelm I wore these shoulder boards (3 pips and crossed batons)! The last career rank reached by William II was Generalmajor und kommandeur of the 2nd Garde Infanterie Brigade tje 27th january of 1888. his birthdate . after his fathers death ,the 15th June of 1888, He became Supreme commander. The appointment and insignia of the Generaloberst/Generaloberst m.d.R. eines GFM and the char. Generalfeldmarschall is an interesting and somewhat tricky subject. 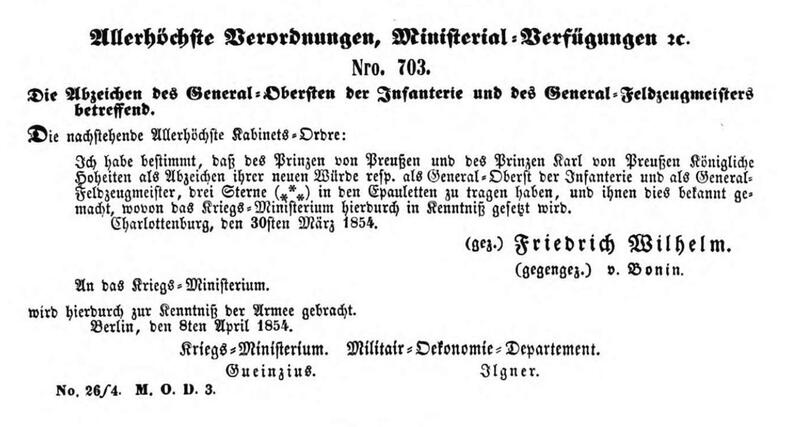 The period introductory orders as published in the Militär-Wochenblatt are rather vague. 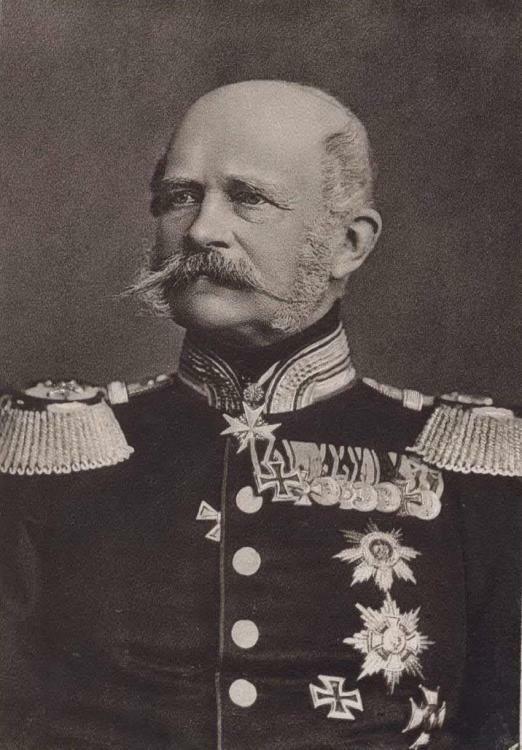 The first two promotions to Generaloberst were those of the future Kaiser and King Wilhelm I as Prince of Prussia and that of Prince Carl (General-Feldzeugmeister), both in March 1854. The gazetting of both promotions does not mention that these were accompanied by the rank of Generalfeldmarschall. However in the 1854 Prussian Rangliste both are listed as having the rank of Generaloberst m.d.R. eines GFM. It appears that by default, all further appointments to Generaloberst were also accompanied with the title and dignity of a Generalfeldmarschall until the 1901 promotions of Generals von Hahnke and Graf von Haeseler to the "basic" rank of Generaloberst. Up to 1900 the Generalfeldmarschall and the Generaloberst m.d.R. eines GFM were equal in rank. One sees for example that in the 1873 Prussian Rangliste, that Generalfeldzeugmeister Prinz Carl von Preußen was the senior serving officer in the Prussian Army and senior to all the serving Field Marschals. Similary both Generalobersten Friedrich Franz Großherzog von Mecklenburg-Schwerin and Prinz August von Württemberg were senior To GFM Freiherr von Manteuffel and the two char. GFM, Herwarth von Bittenfeld and von Steinmetz. From 1901 the Generaloberst, including those with the rank of a GFM are shown below the Field Marshals. The order introducing the insignia of the Generaloberst dated 30 March 1854 is similarly frustrating; although it details the three stars of the Generaloberst/General-Feldzeugmeister, it does not specifically mention the wear of the batons of GFM rank or the details pertaining to the char. Generalfeldmarschall. 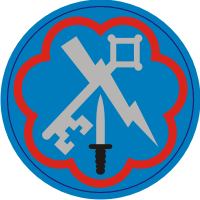 To date, I have found no further introductory order describing this insignia. As however noted earlier, that these Generaloberst had the title and dignity of a GFM, it is presumed that the stars were from this point onward accompanied by the crossed batons of a GFM. The first "official" documentation that I have found detailing the permutations (batons with two/three stars) is to be found in the 1879 edition of Helldorf's "Dienstvorschriften der Königlich Preußischen Armee". I have only come across three promotions to char. GFM and these were bestowed on retirement; Carl Graf zu Dohna in 1854 and Herwarth and Steinmetz in 1871. Just to add to the confusion, although only a brevet Field Marshal, Graf Dohna is listed before Prince Wilhelm and Prince Carl until his death in 1859. For Wilhelm II. it took until shortly before his promotion to an austrian field maeshal in 1900 to be made a Feldmarschall. In 1900 he lay on field marshalls insignia by wish of his GFMs ("auf die von den General-Feldmarschällen namens der Armee ausgesprochene Bitte die Feldmarschallabzeichen angelegt") It was seen reasonable for the Chef der preußischen Armee und Obersten Kriegherrn des dt. Reiches. The inscription on his batton says: "AUF WUNSCH MEINES HEERES" and "WILHELM II KÖNIG VON PREUSSEN 3. Mai 1900"
I’m still confused but grateful for the contribution and effort to explain. As I have been watching this thread, Glenn, as usual, provided the clearest explanation of a very confusing topic. The assertion that the "GFM was reserved for winning a battle" simply does not hold up. If it were so, how does one explain the promotions of three of the four GFMs listed in the 1914 Rangliste?? We can certainly exclude Prince Arthur, but what battles did Gr. v. Haeseler, v. Bock u. Polach, or v.d. Goltz win? Perhaps we should simply accept that there were no hard and fast rules and that Wilhelm II might simply have decided that his army ought to have a GFM or two. Hope as we may, not all questions have a definitive, evidence-based answer. There is an interesting section in the book by Reinhard Stumpf - "Die Wehrmacht Elite" which covers in some detail the development of the rank of Generaloberst. He refers to the case of the future Kaiser WIlhelm I who was promoted to Generaloberst by his brother, King Friedrich Wilhelm IV. for his army command in the 1849 Baden campaign. He refers in this case to an " unwritten rule, lost in the depths of time, that Hohenzollern princes could not attain the rank of Field Marshal.This would also have applied in the case of Prince Carl's promotion to Generalfeldzeugmeister. In any case, titles aside, at this time the rank of Generaloberst ranked equally with the Generalfeldmarschall. This unwritten law was broken with the promotion of the Crown Prince and Prince Friedrich Karl to Generalfeldmarschall in October 1870. Below is a portrait of Generaloberst (2 Sep 73) Prinz August von Württemberg, commanding the Guards Corps. One can ascertain at least two of his three stars plus crossed batons. I heartily concur with Andy's last couple of sentences! Did the commander of the guard corps always wear such cuirassier type collars? I am still learning lots of things, the variaties in german army insignia is magnificent. the Prince was à la suite (an honorary position similar to that of a regimental "Chef") to the Garde-Kürassier-Regiment and therefore entitled to wear that regiment's uniform. Not so much who was what and why, but what was the main reason for someone to be promoted to "XYZ with the rank of ABC"? Why not just promote the man to ABC? Was it an "in-between" rank (maybe the privileges of ABC, but the responsibilities of XYZ)? Germany was not the only army (armies) to do this, so it must have been a widespread practice (and thus a common reasoning behind it). I have been researching the Prussian army for many years and as Andy rightly said, there sometimes are not the answers in black and white that we desire. However, I will offer an opinion. The first two promotions of the the Prince of Prussia and Prince Carl were "one offs", that is promotions of two individuals who were Hohenzollern princes and therefore according to past practice were not promoted to actual GFM rank but accorded the dignity and seniority as such with a different title; Generaloberst and General-Feldzeugmeister respectively. Following King Wilhelm's accession to the throne and the successful course of the Franco-German war, he changed the practice used hitherto and promoted two Hohenzollern princes (both army commanders) to the rank of GFM. It will be seen that all the other wartime and immediate post war promotions to GFM were of former army commanders, the chief of staff and the war minister: Moltke, Roon, Manteuffel, Herwarth (1866) and Steinmetz. With the the creation of army inspectorates following the creation of the German Empire, promotions of senior generals to these posts at a time when the nation was no longer at war allowed for the promotion to Generaloberst but still ranking as a GFM. Additionally, the corps commander of the Guards Corps, Prince August was so promoted. As time went on, the fine distinctions were blurred and as Andy alludes, Kaiser Wilhelm was probably more generous with his promotion policy (as indeed he was with his awards policy) and this accounts for Haeseler, Bock und Polack and Goltz's peacetime promotions to GFM. Certainly until 1900 one can consider the holders of the ranks of Generalfeldmarschall, Generaloberst der Infanterie, Generaloberst der Kavallerie and General-Feldzeugmeister as holding the rank of a Field Marshal and they were consequently listed together in order of seniority in the army list. Promotion policy and politics is a difficult minefield to navigate in the Prussian army and this is exacerbated by the wartime destruction of pretty much all the original primary documentation. Nothing is clear cut; we have a peacetime corps commander - Graf Haeseler as a GFM and wartime army group commanders such as von Below and von Gallwitz as a General der Infanterie and Artillerie respectively! A subject now firmly on my radar! Here is a photograph I took at the tomb of Kaiser Wilhelm I in Charlottenburg in 2013. As can be seen, the old Emperor never "upgraded" himself from Generaloberst der Infanterie (mit dem Range eines General-Feldmarschalls).